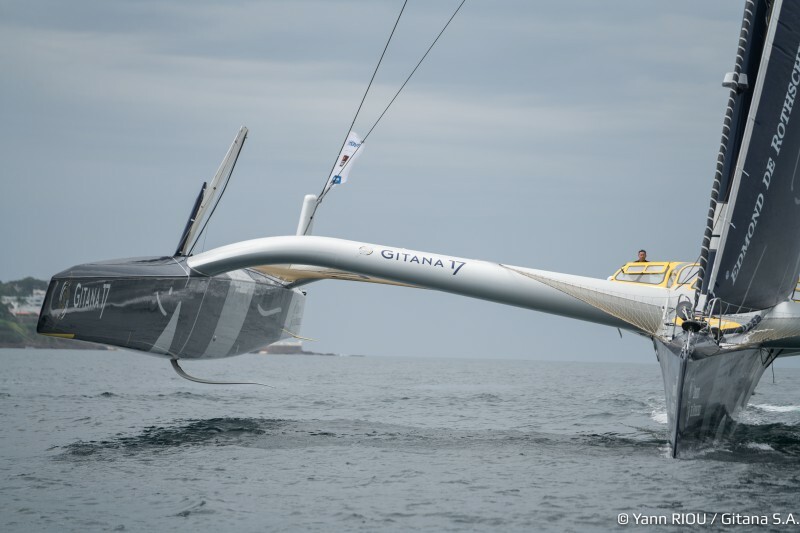 Photos: Vincent Curuchet / Jean Marie-Liot / AleA / Transat Jacques Vabre 2017 - Yan Riou / Benoit Stichebault / Gitana SA. 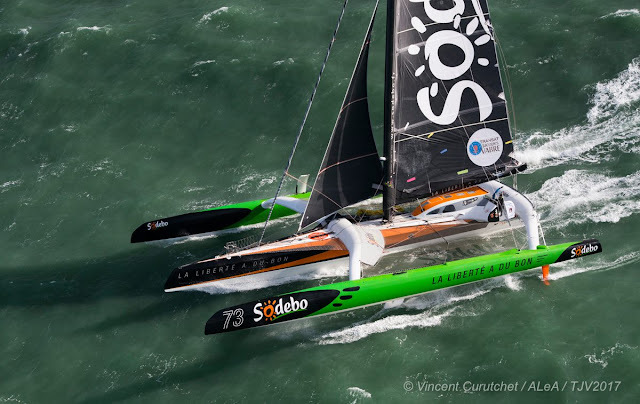 Transat Jacques Vabre 2017: Sodebo Ultim wins & break Cammas RecordSodebo Ultim sailed by Thomas Coville & Jean Luc-Nelias finished the Transat Jacques Vabre 2017 Edition in first place ahead of Edmond de Rothschild / Gitana full foiler Trimaran. 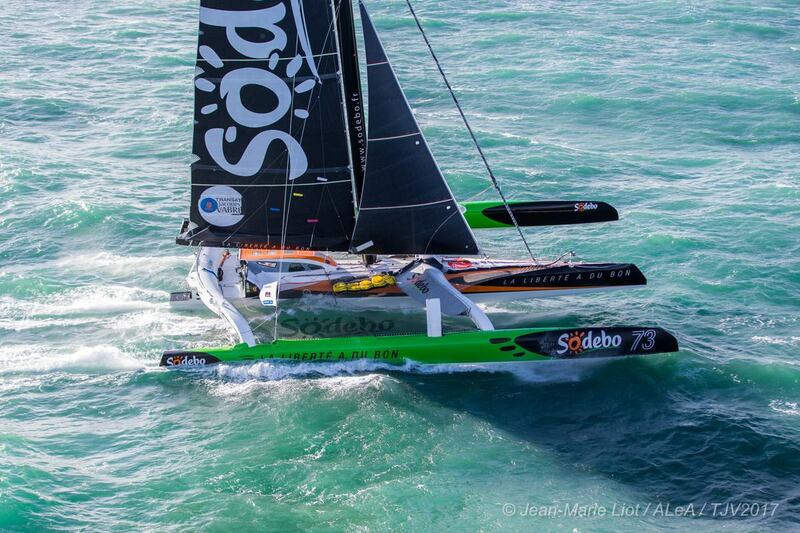 - Average speed 24.94 knots. 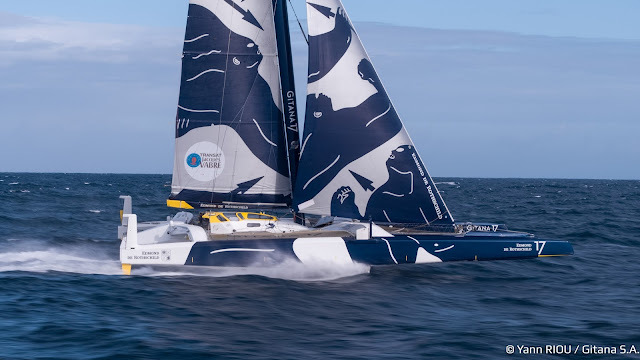 Aside navigation and tactics, two different design concepts were matched. 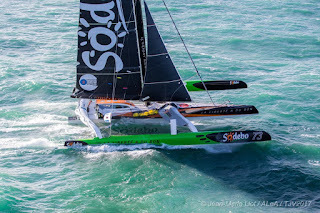 Sodebo Ultim is a 17yrs old Trimaran which was updated and re launched back in May 2, 2017. The info I had today is that they fit some modified C Foils lent from Oracle Trimaran (I wrote they looked 'special' foils as couldn't get why that shape with current devels.) which were altered to feature a foiling tip. This mod and T rudders were done by Martin Fischer. I contacted him but on the move right now, more details when he is available. 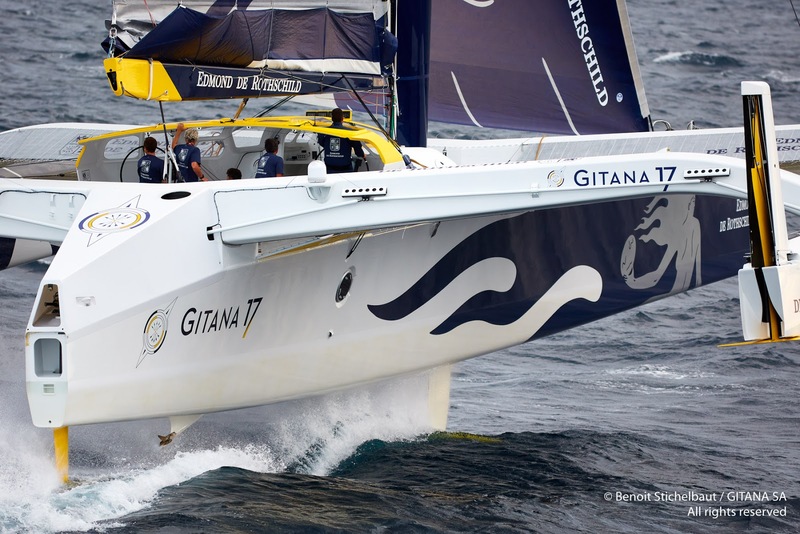 In contrast to Sodebo "tinkering" mods, Edmond de Rothschild Gitana featured a full foiler conf development, her standout feature is a main central hull T Foil. 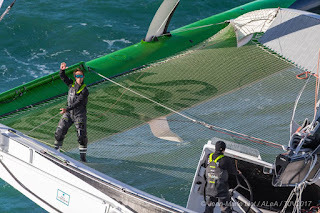 A conf already used by Maserati in their races against a standard MOD70 Phaedo 3. 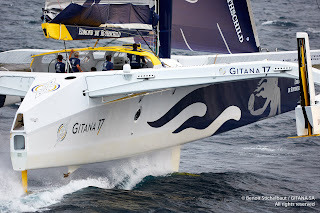 This time the central T foil again showed no advantage in the end, Maserati and now Gitana reported some issues with their systems, but the reality shows this new Trimaran conf is yet to be proven fully.